It didn't take long for the world to learn of Instant Ocean. In 1966, The Aquarium of Niagara Falls commissioned Aquarium Systems to build and operate the first major public aquarium exclusively using synthetic sea salt for marine animal exhibits. Ten years later, The Mystic Marinelife Aquarium in Mystic, Conn., followed suit. Institutional researchers were also quick to realize the benefits of Instant Ocean, which helped to revolutionize the study of marine biology and marine ecology at colleges and universities across the world. Through it all, Aquarium Systems continued to refine both the ingredients and the manufacturing process of Instant Ocean, making sure that the product contained every necessary major and minor trace element — in every single batch. 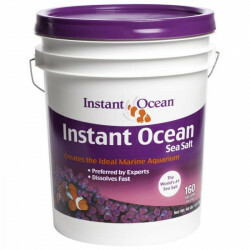 Now Instant Ocean has a prestigious reputation among professional aquariums and casual hobbyists alike. 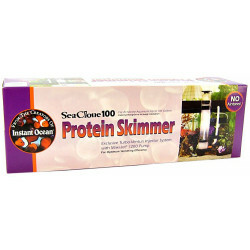 Its synthetic sea salt is the purest on the market and perfect for setting up marine aquariums quickly. 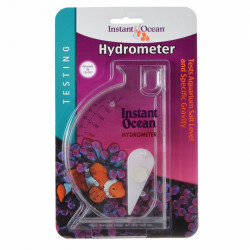 It has expanded its line beyond just sea salt, now offering top quality reef crystals, nitrate reducer, protein skimmers and hydrometers for measuring salinity. 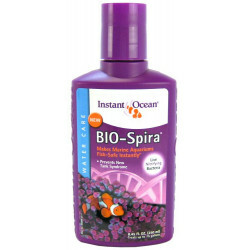 All Instant Ocean products are made with the pride of history and the confidence of scientific research. 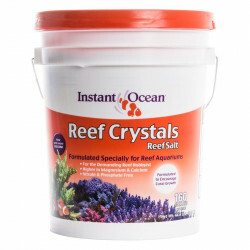 Your aquarium deserves the very best treatment, and Instant Ocean is dedicated to making sure it has the products to match.